Iron Cylinder Display - Cal-Mil Plastic Products Inc. 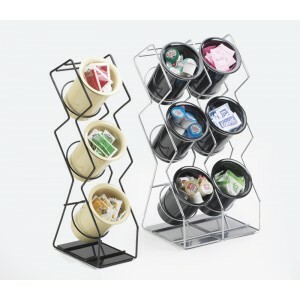 Display and store your flatware with this stylish iron cylinder display. It features a unique black or silver frame with your choice of various colored cylinders and can be transformed to match your own style. Can be used individually or combined for multiple uses.